The options listed above are pretty self-explanatory. There are many more if you need specialized behaviour but only the first two ( main and name) are needed. Obviously, the “main” directive must point to your primary HTML page. If you want a fullscreen window, as is often the case with physical computing projects, simply set "fullscreen": true in the “window” section. You also have the option to enter kiosk mode through the package.json file with "kiosk": true. 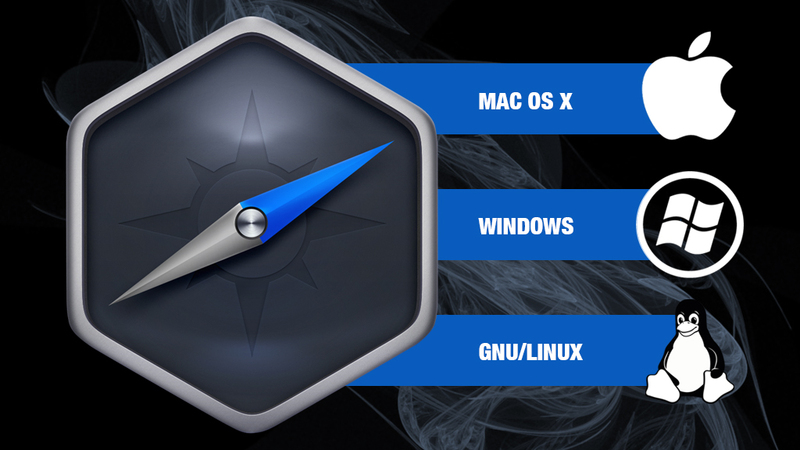 To be able to easily launch our application we are only missing one thing: the nw executable files. Download them for your platform. Once downloaded, you need to copy the necessary files within your project folder. 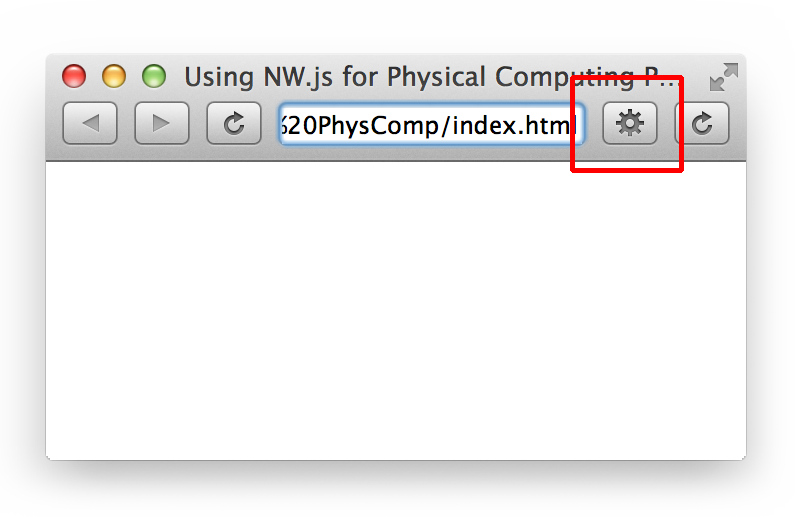 On Mac OS X, simply copy the nwjs.app file to the project folder. On Linux and Windows, copy all files extracted from the downloaded package to the project folder. Once this is done, if you are on Mac or Windows, you simply need to double-click the executable ( nwjs.app or nw.exe) to start your application. If you are on Linux, run nw from the command line. That’s it! There are more details on how to manually run and package apps for distribution on the GitHub wiki. The bounds represent the physical screen resolution. The positions do not necessarily start at 0 and can be negative depending on the screen arrangement. The Screen object also extends EventEmitter which means it dispatches events ( displayAdded, displayRemoved, displayBoundsChanged ) that can be listened to with the gui.Screen.on() method. phidgets : support for Phidgets interface boards which can be used to connect various sensors and actuators. … and about a gazillion more! If you are curious to see know how to do the same with Electron, Esdras Lopez ported the code in this tutorial to Electron. Check it out on GitHub. 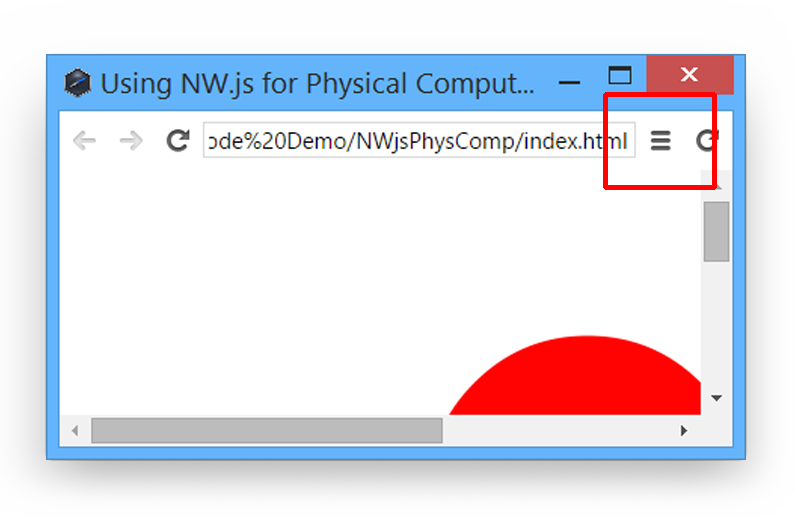 If you want, you can download the full source code (for NW.js version 0.12) of the above example as a zip package. The background shapes in the header image are from Frederik Vanhoutte and are used in accordance with the Creative Commons license. Hey this is a great tutorial thanks for that! There is a little mistake in the package.json in line 19 after fullscreen is a comma which shouldnt be there i guess. At least my nw instance complained about it and after i removed it everything worked just fine. Thanks for pointing it out. I fixed it. Easy to follow and very well explained. Thanks for the great tutorial Jean! Thanks for the positive comments. Cheers! Cool! Thanks a lot for you contribution. I added the link to the bottom of the article. One way to do it is to use V8 engine snapshots.